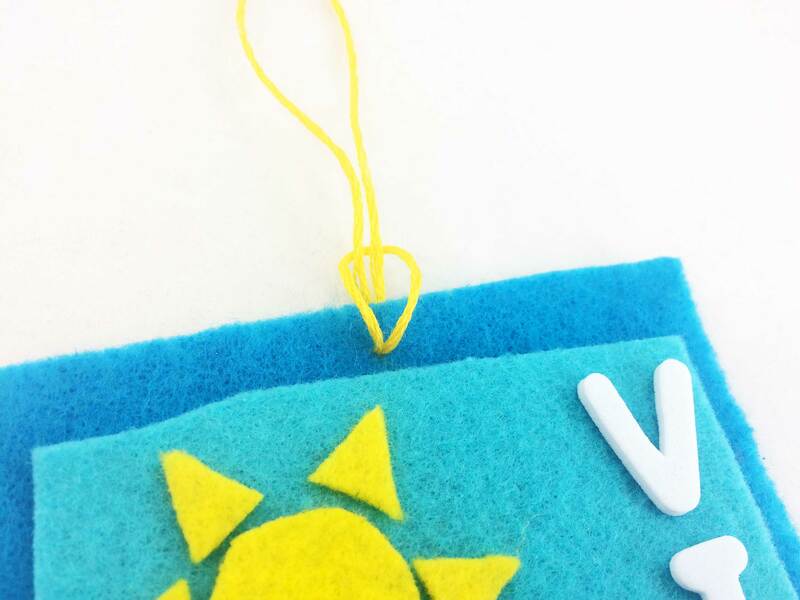 DIY Beach Towel Ornaments: A Simple Spring Break Craft for Kids! Have you ever been to the beach, laid your towel out on the sand and thought, these would make cute Beach Towel Ornaments?! One thing I’ve always loved about going to the beach is picking out which beach towel to take with me. It may sound simple, but they say it’s the simple things in life, right?! 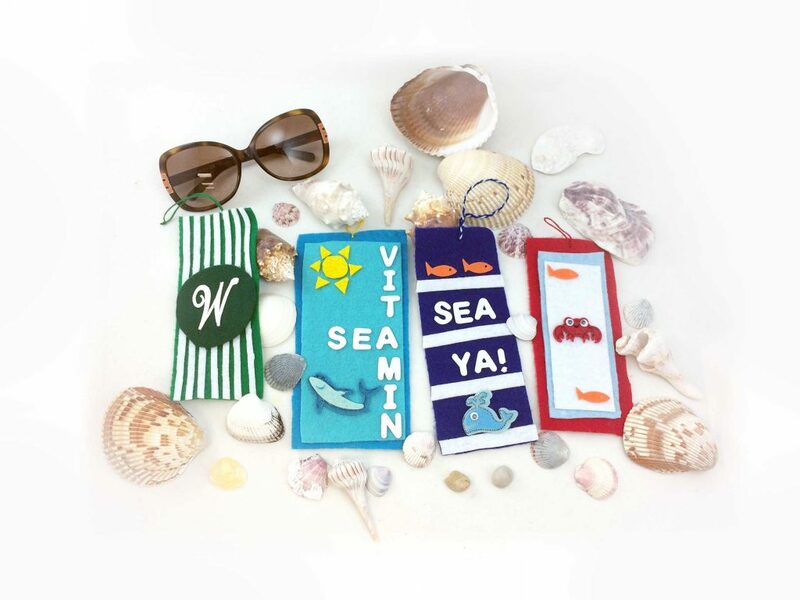 Unlike regular, boring old bath towels, beach towels have so much more personality! With their bright colors and playful patterns there’s just something so lively and exciting about these festive towels. 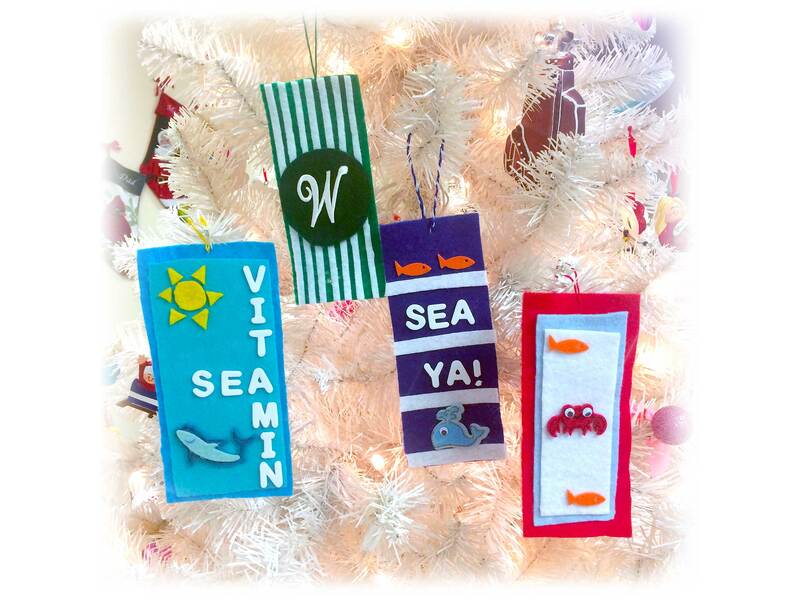 That’s why I love to decorate with these fun Beach Towel Ornaments! They’re super simple to make, and they add so much color and character to my tree! Are you planning more of a “staycation” for Spring Break this year? These Beach Towel ornaments are a great craft project to do with kids because they’re so easy to make (and cheap too)! Kids can get creative with lots of colors, patterns and personalization. In just 3 simple steps you can create a colorful decoration to commemorate your vacation adventures or a special summer moment. Perfect for a beach themed tree! With just a few simple supplies, these ornaments are easy to make and inexpensive too. I already had some of these supplies around the house, and most of the other materials cost less than 50¢ each! The perfect price point to design a beach towel for every vacation memory. Whether you like classic stripes or something with a little personalization, your beach towel ornaments will be uniquely you! Step 1: (Optional): First, sketch out your design(s) on paper. This step is optional, but it will help keep things in focus when you begin cutting out the different shapes and determining the colors you want to use. 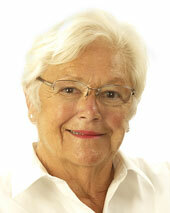 You may even come up with new ideas or make changes along the way, and that’s okay! Let your creativity shine! 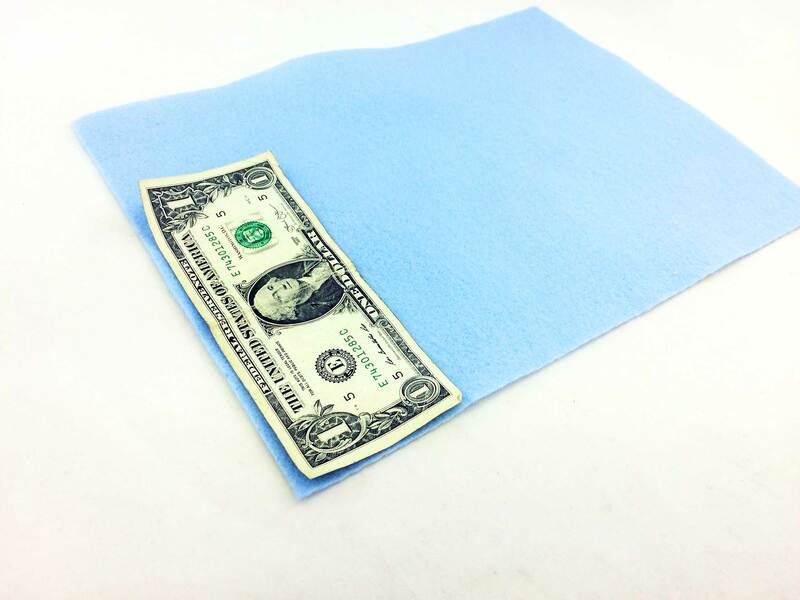 Step 2: Your Beach Towel Ornament is going to be about the size of a dollar bill. 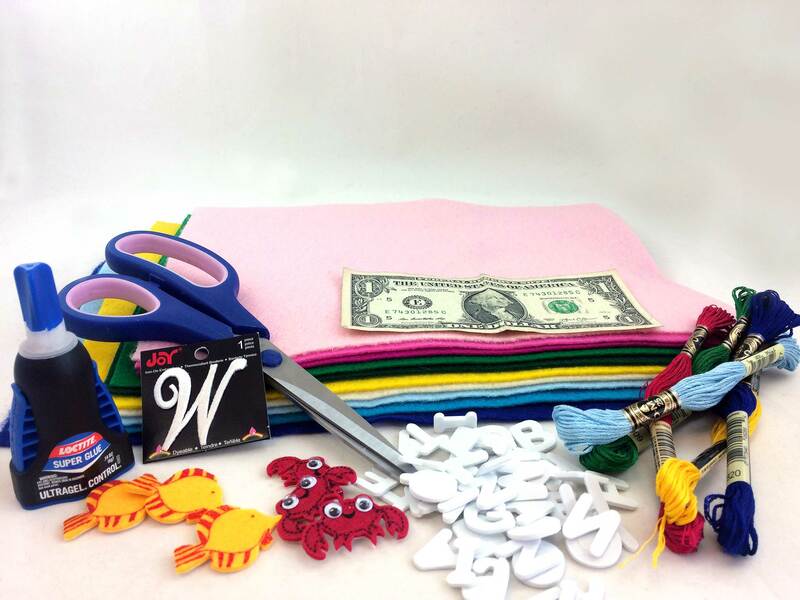 So, you’re going to create the base of your beach towel by tracing around a dollar bill on the felt. Tip: If you’re tracing on a darker color of felt, it helps to use a lighter color such as a white eyeliner pencil or chalk. This will make it easier to see where your lines are when you go to cut the shape out. 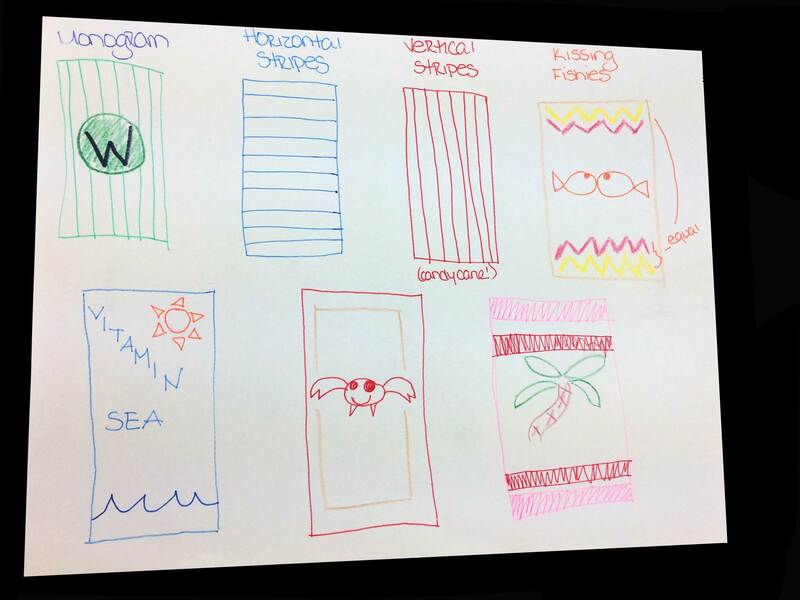 Step 3: Design your Beach Towel ornament however you like! There are so many different kinds of materials that you can use to decorate your beach towel. I used different colors of felt, lots of stickers and even an iron-on embroidery patch. You can refer back to your sketches to determine the shapes and colors that need to be cut out. Then, line everything up where you want it before gluing it into place. And make sure that as you design your beach towel, to leave a bit of space at the top where you are going to create the loop for hanging it on your tree. Tip 1: If you use stickers, try to find felt or foam stickers. I chose felt stickers because the texture blends in more naturally against the towel base than a shiny paper sticker would. I also used foam letter stickers because they add dimension and they let me personalize my beach towel with cute sayings! Tip 2: Whenever possible, I like to use felt sheets with a sticker back. This will save you a step, and you won’t have to glue as many individual pieces to your towel base. I used this for all of the white stripes in my ornaments and it saves so much time. And it’s less messy than glue if you’re making these with kids! Step 4: Finally, create a loop at the top of the felt base of your beach towel using a needle and embroidery thread. You can choose a thread color that coordinates with the color scheme of your beach towel, or you may want to add some visual interest with a contrasting color that makes your design stand out. Ta da! That was super simple, right?! 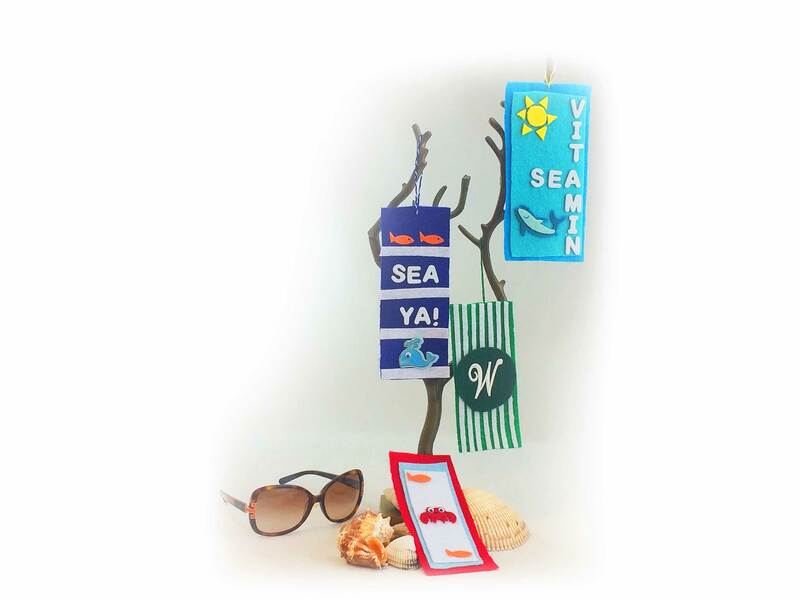 In only 3 easy steps you can celebrate that special Spring Break trip to the beach or a lazy summer vacation by the pool with customized Beach Towel ornaments. Kids will love seeing these hanging from the tree and remember the exciting vacation adventures they experienced. 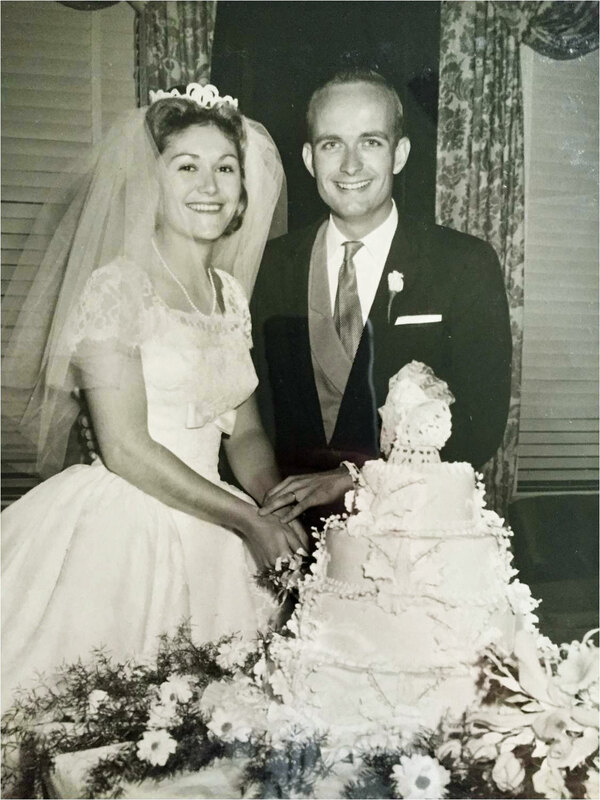 And you’ll remember the fun times you had with them commemorating these special memories. 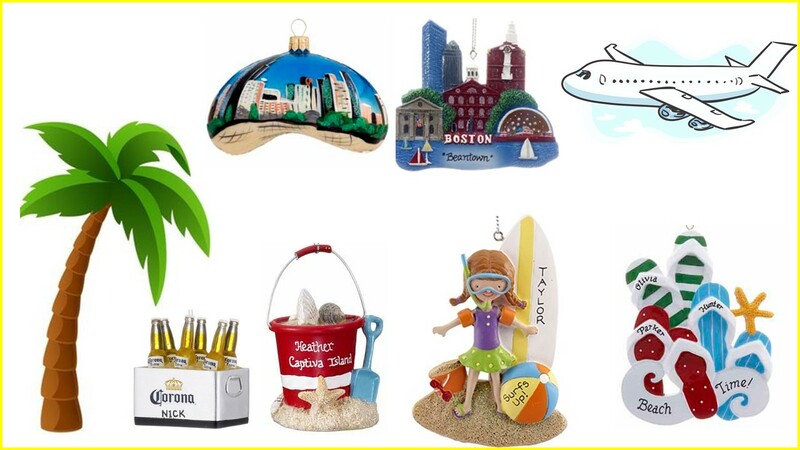 Celebrate Spring Break, Summer or even a “staycation” with something from our wide variety of vacation ornaments. The perfect addition to any travel themed tree! You’re sure to find something to commemorate your trip to the beach, Boston, the Chicago Bean and everywhere in between! This is a really cute idea! I love all of the colorful beach towel designs you did. 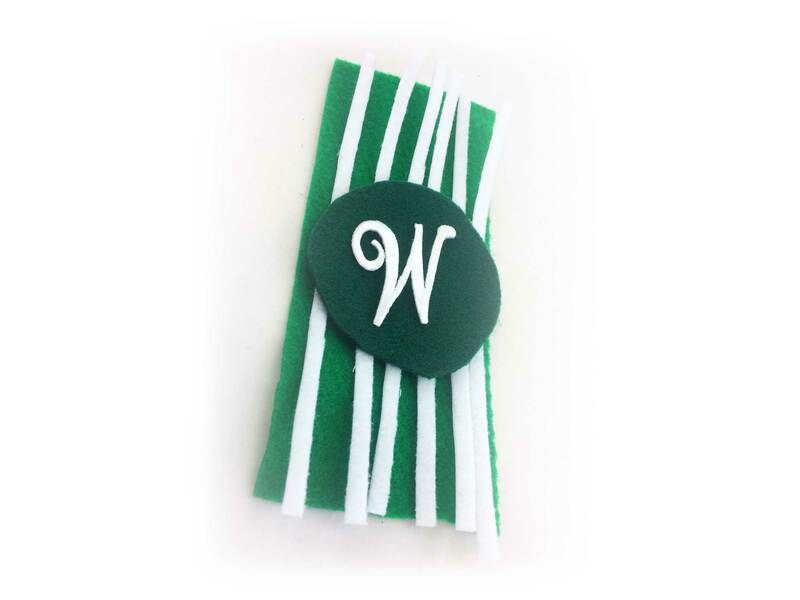 This is a great craft for kids who attend Summer Camp! What a great way for kids to reminisce about their Summer Camp memories during the holiday season! Beach Towel Ornaments with the camp name would be so cute hanging from the tree. I love this idea, Jenny! 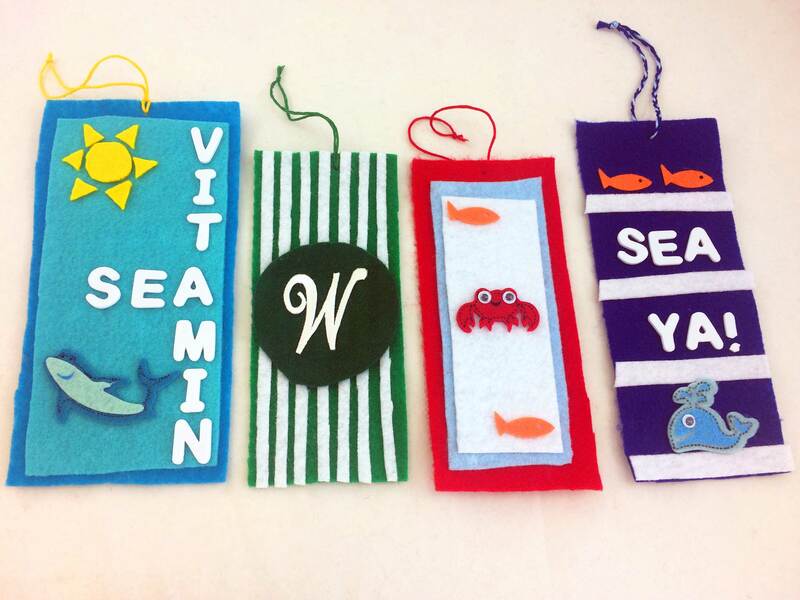 These Beach Towel Ornaments will look amazing on your beach theme tree, Layla! I bet your tree is very bright and colorful!